Our company has made it a priority to give back to our community over the past year. We are always looking for ways to grow and to affect our local community in a positive, healthy way. 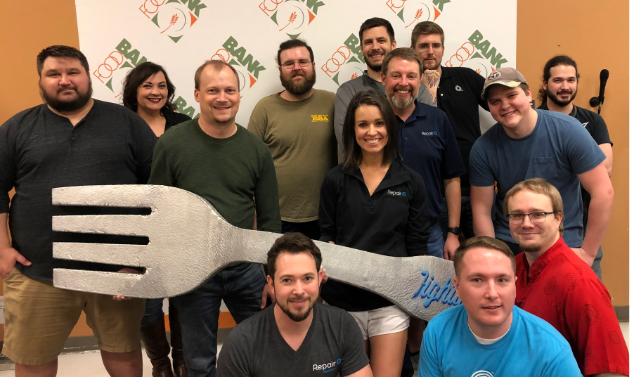 In the past our organization has volunteered at the Community Food Bank of Eastern Oklahoma, where individuals or groups can spend a few hours weighing, sacking, sorting, distributing, and/or storing canned and fresh goods for the people that need assistance, but we are constantly looking for potential opportunities to give back and to build up our team members through volunteer and community-based work programs. 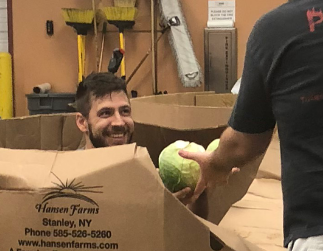 It’s more than a competition to see which one of your developers can get the closest to weighing out 13 pounds of heads of lettuce over a three hour period of time. It’s more than coming together with a group of strangers and pushing hard to finish your quota. It’s even more than developing efficient systems and moving effectively as a team to accomplish a specific goal. It’s about giving up time that would otherwise be used for professional gain of the company to positively impact the groups of people that might be struggling, or that just need a hand up. That’s our primary motivator; everything else is just icing on the cake. Have a fun idea for giving back to the community? Let us know via social media or by emailing us at marketing@repairq.io. Jared is the Digital Marketing Manager for ServiceCentral Technologies. He is the lead copywriter for all digital content related to both ServiceManager and RepairQ, and enjoys spending his time outside the office dedicated to his passions of competitive gaming, reading, and his wife Rachel.